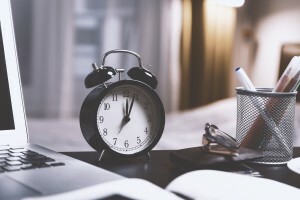 Home » Blog » Time for a new Accountant? Although this seems silly, it’s essential. Feeling at ease with your accountant is necessary. You should feel that you can call them with any questions you may have no matter the importance of the query. Your accountant should be your partner in business. When you get on with your accountant, you speak more freely. This allows the exploration of the options available to you and to make the most your accountants knowledge and experience. Do they take the time to explain things to you? A lot of small business owners, contractors and start-ups find themselves lost in an array of rules and regulations. Own financial statements can be puzzling as they’ve never been shown how decipher them before. Accountants should take the time to help clients understand their financial and tax affairs. If that doesn’t sound like your accountant, it could be time to move on to another. Do they understand the industry you are in? Most accountants will have the experience to deal with the majority of the needs of their clients. But when looking for an accountant, finding one with specialised experience in your sector could give you that edge. Whether you’re a contractor, pub or a retailer, having an accountant with sector expertise means that you will receive the best technical and commercial advice possible for your industry. Look at their website and speak to other businesses in your sector. A good, transparent accountant should be happy to put you in touch with some of their clients. The amount your accountant charges you for their service is important. But what really matters is the value you’re getting from their service. Accountants’ fees can vary greatly and clients worry about how they will be charged. Accountants should be there to take anxiety away from a client by helping them comply with the law. If your accountant’s pricing is making you anxious/unsure, they are not doing their job. A good service from your accountant means that they will deliver their work accurately and on time. Accountants have to meet dozens of deadlines for hundreds of clients. To do this they need to have highly disciplined processes supported by sophisticated systems. If these are not in place, there is a risk that deadlines will be missed and you could be left with a fine. Make sure your accountant is responsive to your deadlines. Do you have a regular review of your financial and tax affairs? This is a key point. Your accountant should be in regular contact with you in order to inform you any changes in your business and to update you on any changes to tax and legislation that could be of importance. Communication with your accountant can take many forms: face to face meetings are ideal, but sometimes a phone call or an e-mail will be suffice. When you feel that your accountant hasn’t told you all the things they should have, then maybe it’s time to get a new one. Remember, accountants should work with you, make sure you have one that you can count on (Magpie Accountancy – of course).